Tickets: General admission is $5, with open seating. VIP tickets are $45, including a reserved seat, a copy of the book, and a glass of wine during the author reception starting at 5:45 pm. Get tickets at spokane7tickets.com. Info: To learn more about Northwest Passages, The Spokesman-Review’s community book club, visit spokesman.com/bookclub. She drove north from San Francisco, all the way to Bellingham, before heading east across Washington, Idaho and Montana. 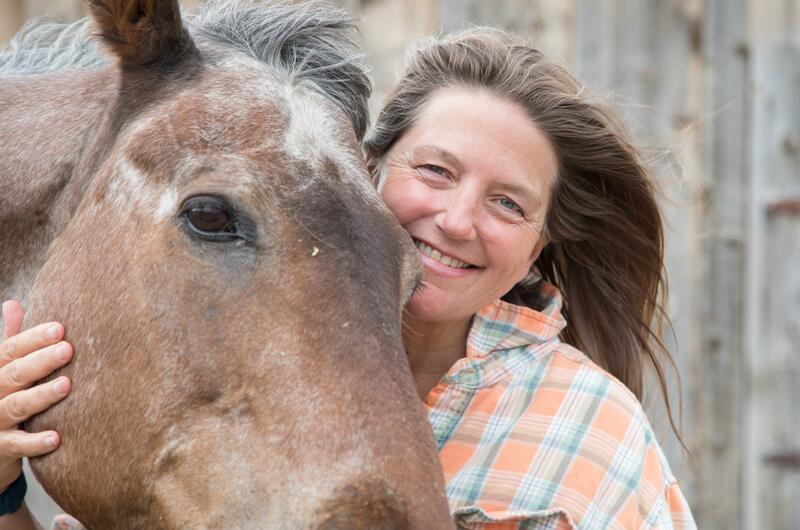 She seriously considered a 44-acre plot in Winthrop, Washington, before finally settling on a rugged 120-acre Colorado ranch near the headwaters of the Rio Grande, which she bought for 5 percent down plus a signed copy of her book. The story of how she learned to take care of the ranch – and how the ranch took care of her – forms the basis of Houston’s new book “Deep Creek: Finding Hope in the High Country.” The book is an elegy to the disappearing wild places on Earth, including her pocket of paradise, where cellphone towers are banned, developers are persona non grata and the pantry is always stocked against the next three-day snowstorm. Houston, will share her story in Spokane when the Northwest Passages Book Club gathers on March 26. Houston says she set down roots almost impulsively after a traumatic childhood followed by years of thrill-seeking – from whitewater rafting and backcountry skiing to guiding big-game hunters deep into the Alaskan wilderness. Buying the $400,000 ranch with her $21,000 in book royalties was another adrenaline rush, and Houston was fairly sure she would eventually default on the note and lose the property. Houston grew up in New Jersey and Pennsylvania but made her way west after college and never looked back. She spent time in Colorado and Utah as well as Alaska, often in wilderness settings that form the background for her highly autobiographical fiction – she now calls it “autofiction.” And it’s not just any part of the West that draws her in – it’s the “high and dry” country east of the Pacific range. Asked to explain the attraction, Houston can veer into the mystical, describing her physical reaction to the rugged landscape of jagged peaks and open valleys. Houston writes movingly about her love for the land and this “dying planet,” rejecting the ironic eye-rolls and “hollow chuckles” she sometimes gets from colleagues at the University of California, Davis, where she lives half the year teaching English. Along the way she found love with her new husband, Mike Blakeman, a Forest Service worker who she calls “even more dedicated to the Upper Rio Grande Valley than I am. Background: Grew up in Bethlehem, Pennsylvania, the daughter of a stage actress and businessman. Houston describes surviving serious abuse as well as 16 major auto accidents by the time she was 16. Moved west after college and worked at a variety of jobs including river runner, hunting guide and horse trainer. Academics: B.A. with honors, Dennison University. Currently teaches as a professor of English at University of California, Davis, and at writing workshops across the country. Breakthrough book: “Cowboys are My Weakness” (1992), a collection of short stories, was named a New York Times Notable Book, won the Western States Book Award and gained widespread attention for her portrayal of adventurous women in a rugged American landscape. Latest book: “Deep Creek: Finding Hope in the High Country” (2019), personal essays largely focused on her relationship to the Colorado high-country ranch she bought in 1993. It is her second book of nonfiction and sixth book overall.